In 1940 and 1941 the U.S. Army came to the realization that they were short on both manpower and in need of modernization, resulting in the implementation of a new strategy. The country mobilized the National Guard and conducted the first peacetime draft and several training sites were selected. 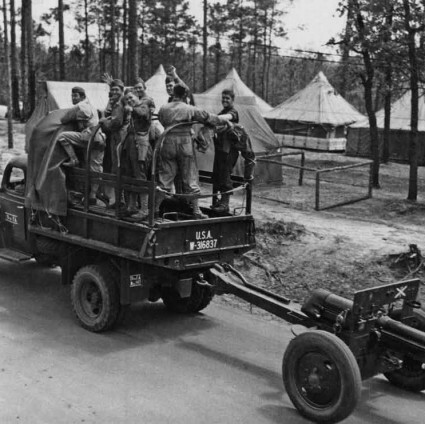 Amongst the training sites was the selection of Louisiana for the Maneuvers Preparations due to the vast amount of land. Over the course of training Louisiana became the largest training on Maneuvers for over 472,000 soldiers. During the two years of training new ideas immerged, the role of the U.S. Army Air Force, mechanized warfare, and logistics. Well known military leaders such as Patton, Eisenhower, Marshall, and Bradley were among many who had a major role to play in the Maneuvers. The essential reorganization, planning and training ensured our Army emerged victorious in Europe and Asia and continue to play a role in operations today. 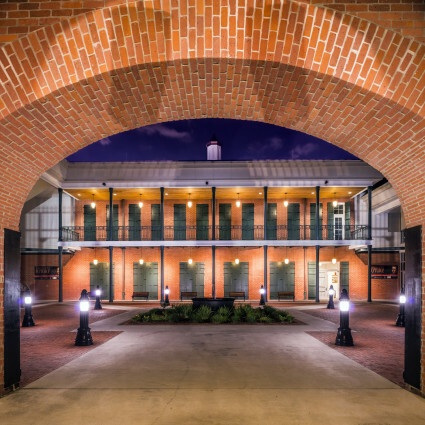 The Louisiana National Guard Museum at Jackson Barracks tells the story of Louisiana Citizen­ Soldiers from the colonial period to current operations. The museum located at Jackson Barracks originated as the The Louisiana Military History and State Weapons Museum, established by Louisiana Acts 1974, No. 688, 1 which detailed the location of the museum as Jackson Barracks, New Orleans, LA under the management and supervision of a nine member board of managers appointed by the governor. 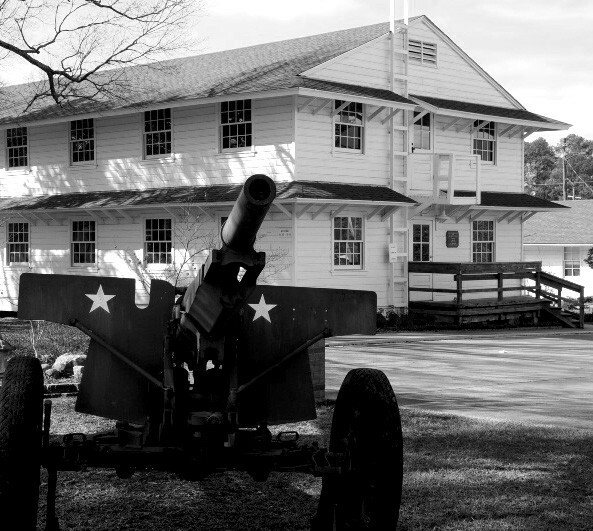 In 1977 the museum moved into the newly renovated historic 1837 powder magazine, on the Historic Jackson Barracks site. Ten years later The Friends of the Jackson Barracks Museum incorporated, established their board of directors and obtained federal recognition as a non-profit organization. Throughout the 1980s and 90s the museum continued to grow, expanding its exhibit, storage, conservation, restoration and library spaces into the seven buildings. 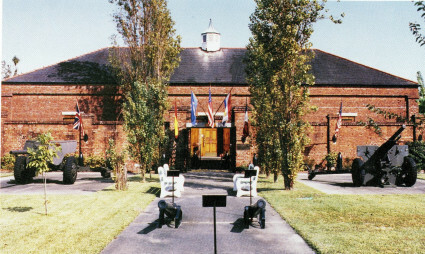 In August of 2005 Hurricanes Katrina and Rita contributed to the destruction of Jackson Barracks to include all seven of the museum structures. Over 11 feet of floodwater impacted the entire collection with 85% of the museum collection being damaged and 15% being permanently destroyed. Restoration and conservation activities began soon after the storm and continue today. 2009 brought forth the ground breaking and construction of the new Multi-Use complex, bringing all the museum, archive and history program activities under one roof and in 2012 the complex was once again in habited. The facility is now open to the public telling the story of the Louisiana National Guard and continues to work closely with the Friends of the Louisiana National Guard Museum, Inc. in an effort to revitalize its current exhibits.